Visit concordia.edu/majors for details on all programs offered. Concordia University Texas prepares students for the future through a personalized education that incorporates challenging, hands-on instruction with Christian-based values. Located in Austin, Texas, our small, dynamic University allows learners to utilize all the resources theprofessors and campus have to offer, while the geographic location fosters innumerable opportunities for experiential learning and personal growth. Approachable, collaborative, and supportive, we stress values of vocationand lifelong learning, with the mission of developing Christian leaders. We are recognized for our integrity, academic excellence, and Lutheran ethos. Regardless of who you are or where you’re from, Concordia has a place for you to learn and grow. As you walk through campus, you’ll come across a relaxed atmosphere filled with friendly faces. 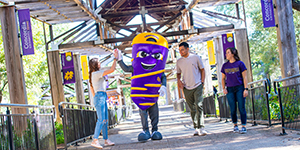 Rather than getting lost in the shuffle, our students enjoy small class sizes and caring professors who offer a personal approach to academics. An average class size of 15 ensures you’ll get individualized attention from each professor. They’ll know your interests, your career path, where you’re from, and more—and you won’t be just a face in the crowd. We enroll, retain, and graduate students who are leaders in the classroom and in their communities. Students of diverse ages and cultures experience a quality, Christ-centered, Lutheran higher education. With the purpose of cultivating goodness, beauty, and truth, we believe the adventure of faith, learning, and life-changing experiences leads to meaningful work. Concordia’s beautiful campus in northwest Austin is just minutes away from historical landmarks, live music venues, outdoor hiking and biking trails, one-of-a-kind restaurants, beautiful Lake Travis, and many other exciting things to do. With an average of 300 days of sunshine a year, Austin is a beautiful city and a great place to live. Known as the “Live Music Capital of the World,” there is always a great place to hear music of every variety. Film enthusiasts and aspiring actors will enjoy the many theatrical performances and budding film scene in Austin. As a leading city for smallbusinesses and start-ups, it’s no wonder that Concordia launched an entrepreneurial hub called IncubatorCTX, a space for entrepreneurs and small business owners to begin and develop their companies and a resource for students to observe local businesspeople in action. Our campus boasts the 250+ acre Concordia Preserve, a protected environment that is home to native plants and endangered animal species. Our liberal arts education promotes a broad foundation of knowledge and further develops intellectual capacities. 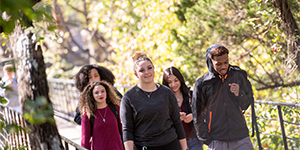 Students learn not only what tostudy but how to learn, not just in the classroom but also through lectures and workshops by visiting scholars and guest lecturers, engaging in service learning opportunities, participating in a variety of arts activities and venues, and taking advantage of study abroad programs. These experiences provide a multifaceted opportunity to teach, model, practice, and recognize Christian leadership—invaluable skills that serve our graduates for the rest of their lives. We offer placement for LCMS church workers. 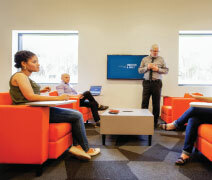 Additionally, our Center for Vocation & Professional Development helps students explore career optionsby including employment listings, training on job search skills, providing assessments to help students determine an appropriate career match,and utilizing guest speakers from a variety of career fields. The Austin market continues to outpace much of the rest of the country for growth and opportunity.